On February 9th, 1962, several individuals were arrested by the US Secret Service and Dickinson PD after a 5-week-long investigation into a counterfeiting ring. The “hub” of the half-million dollar operation, one of the biggest uncovered in the Upper Midwest, was based right here in Dickinson. The investigation started in Washington state with the arrest of Allen Therriault and Carol Sanders. The two were arrested after attempting to pass another couple’s name at a Seattle bank. Sanders was in possession of counterfeit $20 and $100 bills. They “rolled over” and gave the name of a Billings man, Jack Lande. Lande was arrested in Billings for his connection in the counterfeiting ring. The US Secret Service interviewed him and was told that Bernard Gangl, a former Dickinson resident and 1950 graduate of the Central High School, was the head of the operations. Gangl was residing in Casper, WY at the time. He was arrested a short time later. 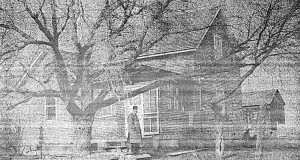 Secret Service Agents Robert Dowling and Arthur Blake accompanied Gangl to Dickinson, where he showed them the house his ring was using. 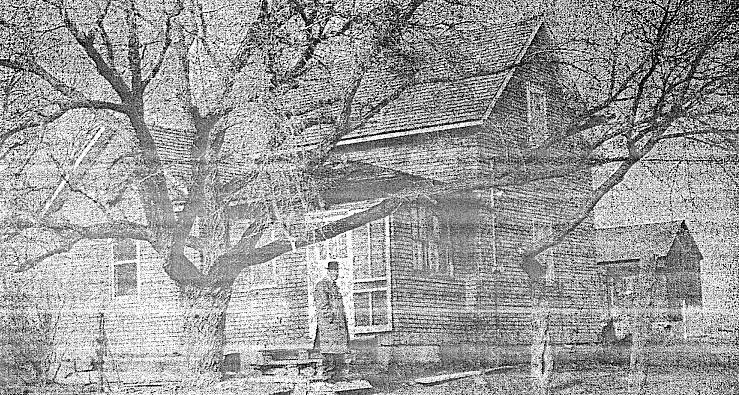 The house, which is no longer standing, was located at 746 Aldrich ST. It had been in the Gangl family for many years, but had abandoned in the previous 10 years. The house had no running water, but did have electricity and lights. Paper covered the window, as to disguise the happenings within. Police raided the house and found two of Gangl’s associates within. They were arrested without incident. No furniture or regular house furnishings were located inside. Police did find photography equipment and a stolen printing press from Billings. The ring used a rather crude form of counterfeiting; using the cameras to take a picture of real money, and then duplicating the photo onto the printing press. Several plates for the printing press were located in the house as well as in the dump north of town. ABOVE : The exterior of 746 Aldrich Street. 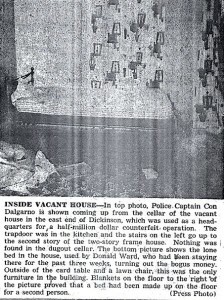 The house had been considered vacant for the 10 years prior to the bust. Paper covered the windows to hide the happenings inside. 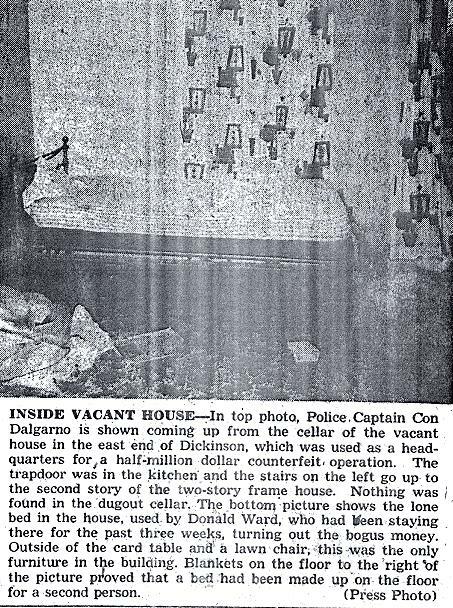 ABOVE : Bedroom of the house used by the counterfeiters.